A content management software that specializes in managing content across multiple formats of large and small scale enterprises. Its rich text editor enables you to create all types of contents including text, location and date with an attractive outlook. 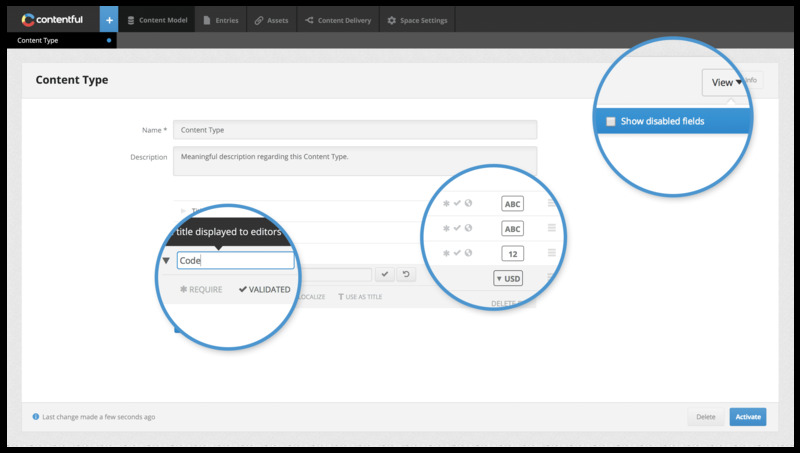 Contentful also allows you a lot of flexibility in customizing your content with its flexible content modelling feature. 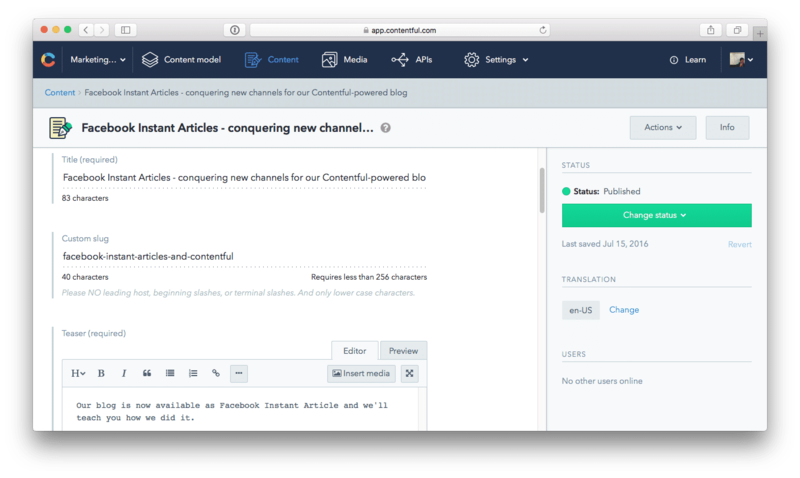 With contentful, you can now create content in more than one language. The default roles and access rights keep your content safe and also makes sure that the content writing team is ever so productive. 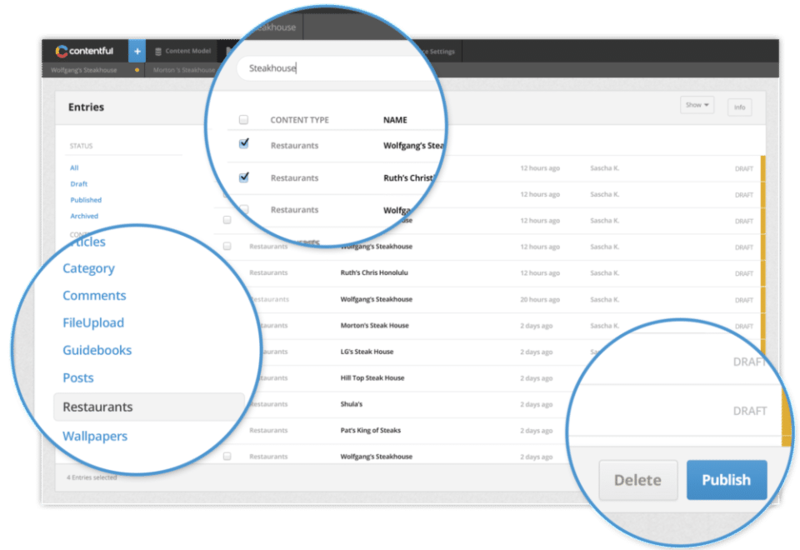 Single Sign-On based on SAML 2.0 simplifies managing user accounts even when the number of users is as many as 100. How much does Contentful cost ? 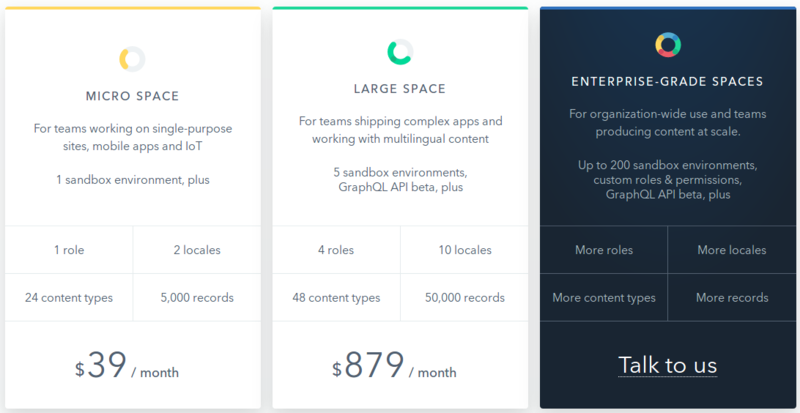 The pricing for Contentful starts at $39.0 per month. Contentful has 2 different plans such as - Micro Space at $39.0 per month and Large Space at $879.0 per month. Contentful offers a Free Plan with limited features. They also offer an Enterprise Plan for their product. "It's all about web content management with contentful"
I like everything about contentful since it has all the tools that i needed to advance web content. contentful is far cheaper than other web content management platforms like Joomla and Goddady Website Builder. contentful has a short running curve. I do not have anything that I do not like about contentful reason being, it accomplishes all my desires. I would always recommend contentful fir CMS. I use contentful to manage content before publishing it online. "Let's manage web content with Contentful"
Ease of use and availability of VR content management systems. Accessibility via any web-enabled device. Let me say that so far I have not yet encountered an issue that I do not like. To know that Contentful is the best for all CMS. I use Contentful to post contents on the web that enables me to promote company brand..
Contentful is GREAT at modeling content. 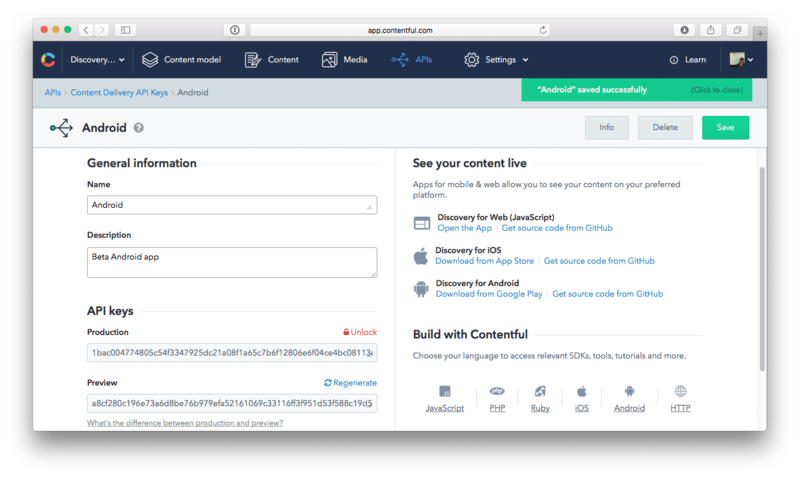 It's awesome to be able to model your content to represent your actual content and deliver it via simple SDK's and leave the rendering of that content to your web application, mobile app, etc... It also makes re-using content really simple. I'd like to see more built-in field types. The new rich text editor is pretty good, but is missing things that are required for it to be truly useful in a web app setting. Right now we're utilizing Contentful for our non-profit's web site. The big benefits have been independence from developers and ease of content entry. It's also extremely fast! "A breeze to create content in Contentful"
User Interface: The UI is a breeze to use; it took 10 minutes to really navigate the platform. Training: It was easy for me as the project lead to train our staff, interns and our volunteer who is a mature adult (>50 years old). Localization: Adding additional languages is also very easy! I haven't come across any dislikes yet, to be very honest! This is the first platform we've used to organize content for our mobile app; before Contentful we had an ancient custom portal which was clunky and frankly, outdated. The benefits are endless! "Fast to get started, great developer resources and removes our worries of content infrastructure"
Getting started was very quick. We don’t have to worry about security updates, fixing issues that cause downtime, or managing the global network that serves the CDA. 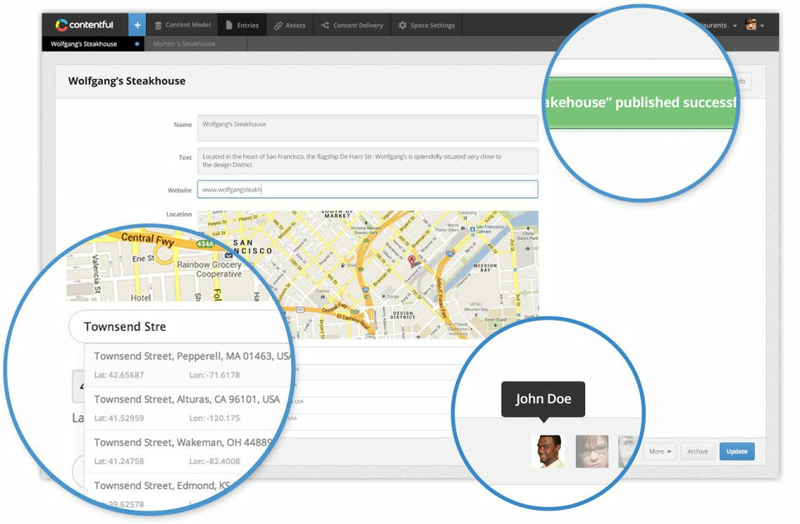 We don’t have to worry about developing/supporting the core features of the CMS UI, and a lot of what we need exists in Contentful as standard fields or UI patterns. Over the lifespan of our project, we have constantly noticed improvements in functionality and admin/editing UI. The continuous development of Contentful is evident with daily use. The CMA is also quite nice, offering clear verification steps during migrations that make for good record keeping. Some developer-facing tools/docs are lacking, but that has improved over time. Still, it can be difficult to find the docs you need unless you know the terminology you’re searching for (e.g. UI Extension SDK). Building more relational queries in a single request (i.e. using GraphQL) would be very nice, but that function only comes at very high price tiers. Multilingual data entry UI really needs improvement. For a site that supports many languages the UI becomes unmanageable with duplicated fields everywhere. Although Contentful is often marketed as a “backend-free” solution, any amount of customization to the existing CMS patterns involves some backend work, either within the consumer app or with the CMA doing migrations and so forth. We built a content publishing system. We have rapidly evolved a legacy system of PDF downloads to a modern, mobile-friendly CMS. "Great flexibility and value, odd at first"
Model creation with the available wide variety of field types is great. The basic Markdown text field editor covers lots of use cases. Resizing images by just adding optional query parameters to the URL is magic. The content model is very flexible. The Contentful content model is flexible, I'd even say too flexible for a simple paged website. It takes a while to grasp the Contentful-way of thinking about content. Not being able to categorize Models hurts in discoverability and creates a mess that can only be salvaged by namespacing them (e.g. "Page - Home ", "Page - About ") and then filtering ("Save as view" helps a lot here). It doesn't seem as easy to edit for laypeople as say WordPress, but I can't back that up. Multilanguage editing view could be improved I feel, displaying all languages at once can be overwhelming. Take a while to read the documentation regarding content modelling and think through your content architecture carefully. Built a non-profit flyer-type website.